The Néroli & Orchidée line for women, from L’Occitane, though difficult to find here in Toronto, is well worth the search. This dynamic line offers four of my favourite scent delivery options — YAY! 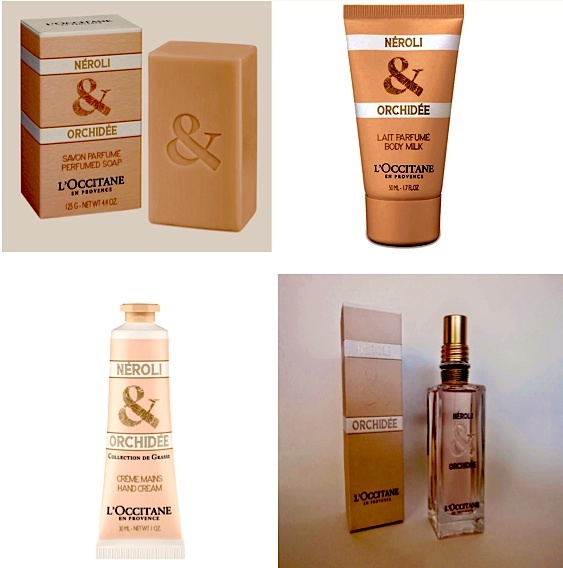 Products featured in the photos are: the Néroli & Orchidée Hand Soap, Body Milk, Hand Cream, and Eau de Toilette. Néroli & Orchidée has been a top scent in my rotation for a few years now, but moderation between the four options has been key; I didn’t want to make myself sick of the scent by overusing. I suggest applying no more than two of these products at any one time. Judge where you are going and what your plans are. I like to consider the square footage and type of environment I will be in, before deciding on which of the two body products (max) that I’ll use that day or night. Two sprays of the perfume usually suits me for a night out and I carry a tube of the hand cream in my purse to refresh throughout the night. I hope you’ll consider giving the Néroli & Orchidée line a try and if you do, let me know what you think. Until then, happy adventuring, Lovelies!